The transit agency releases its the 2017 version of its annual Attitude and Awareness Survey. TriMet needs to add more security officers to its trains and buses. Homeless and housing are the most important problems in the region. Traffic congestion is the most important transportation issue. And people are losing faith in the region. Those are among the findings of the 2017 TriMet Attitude and Awareness Survey that was released by the regional transit agency on Wednesday. The most recent version of the annual survey was conducted by DHM Research between Nov. 7 and 12, 2017. 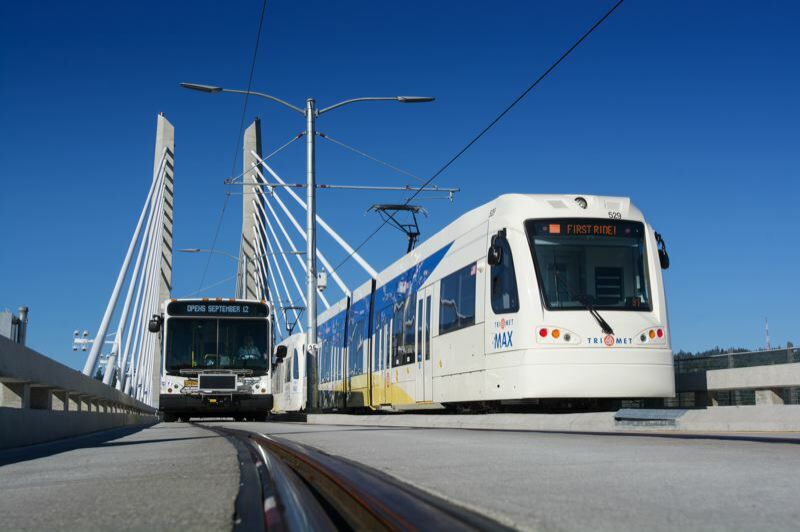 Although the survey was commissioned by TriMet, it included several questions that allowed respondents to express their opinions on non-transit related issues. Among other things, only 45 percent thinks the Portland metro region is going in the right direction, the third decline in three years. Nearly as many, 42 percent, think the region is off track, the third increase in three years. The decline in confidence may be related to homelessness and the affordable housing crisis. Asked to pick the most important issue that local governments need to address, 52 percent volunteered social issues. They overwhelming majority were homeleness, hunger, housing and affordable housing. Only 24 percent volunteered transportation as the next highest category. In a follow-up question, 71 percent volunteered congestion, road mainteance, and the need to increase capacity. Only 11 percent said transit, and just 2 percent wanted more bike lanes. No other issue category was volunteered by more than 4 percent, including taxes, crime, schools, growth and the economy. The news for TriMet was mostly good. Overall, 73 percent had a favorable opinion of agency. Even more, 79 and 81 percent, believe bus and MAX service is reliable. The approval ratings were even higher for TriMet riders. Although the survey was conducted just six months after the horrific attack on a MAX train that left two men dead and one severely wounded, 76 percent approve of the job TriMet is doing to ensure safety. However, 50 percent said there was not enough security on the transit system, something TriMet is working on. And 26 percent said personal safety concerns had prevented them from taking TriMet in the past. Only 10 percent believe TriMet treats minorities differently when it comes to applying the rules and fare enforcement. The survey also found the total number of people using TriMet went up slightly in 2017, although the proportion of frequent riders went down. Asked why they were riding less, nearly a quarter cited lifestyle reasonsm such as retirement and telecommuting. About four in 10 said they used sride-sharing services like Uber and Lyft to some degree. Eighty-six percent of all those surveyed viewed TriMet as a good value. Close to half, 45 percent, had heard of the Hop Fastpass electronic fare system TriMet has introduced. And the survey showed that 45 percent of riders are interested in the low-income fare discount program TriMet is launching in July. It will allow adults at or below 200 percent of the federal poverty level to be eligible for TriMet's discounted Honored Citizen fare. Eight hundred residents in the TriMet service district participated in the survey. It has a margin of error of 3.5 percent. You can read the complete survey at tinyurl.com/yd45tcnd.